On a Blind Date with Mindy Metalhands, 2004, ink. 'Last chance' was the theme for Round 26 of Strip Fight. 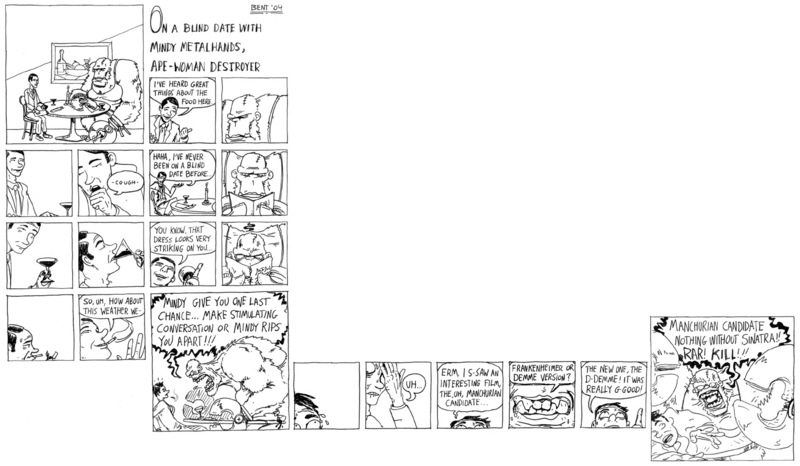 I don't know about the joke, such as it is, but I ended up liking the panel layout. I came in second place with this one.